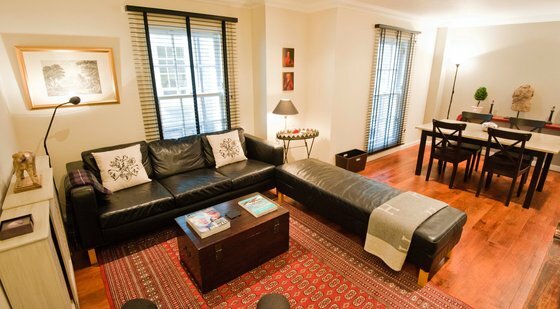 Stay in style, at The West End Residence. 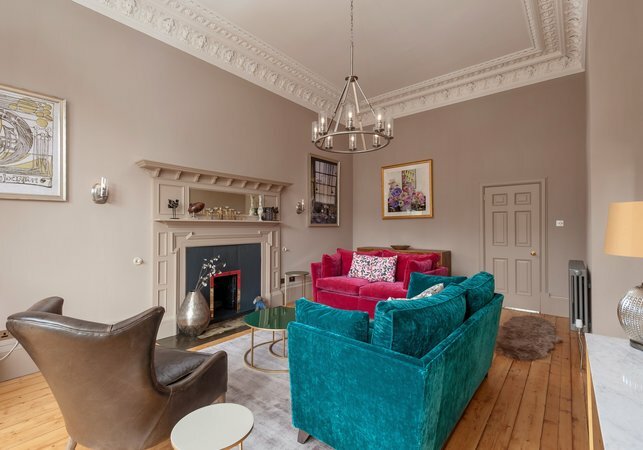 With lovingly restored original features, such as cornicing, hardwood floors, fireplace and full-length bay windows, this is a magnificent example of Edinburgh’s famous 19th century architecture. However, guests are kept in comfort with modern day upgrades such as Miele appliances and a newly fitted luxury bathroom. 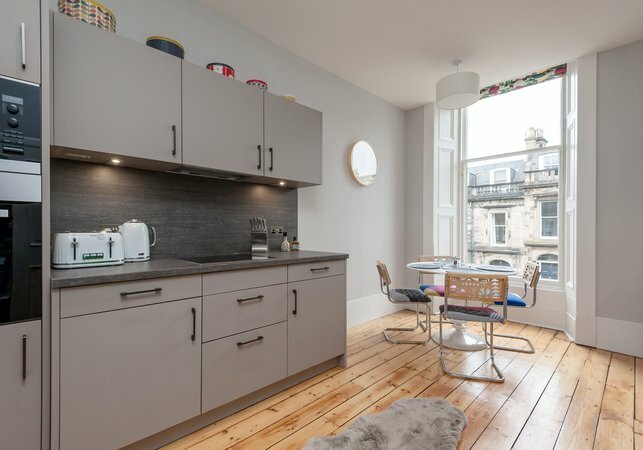 Add in to that an outstanding location in the West End, this two bedroom apartment is simply perfect for your next visit to Edinburgh. 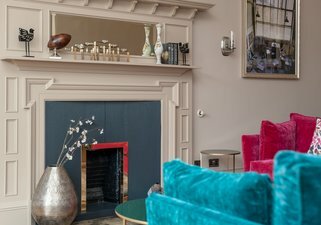 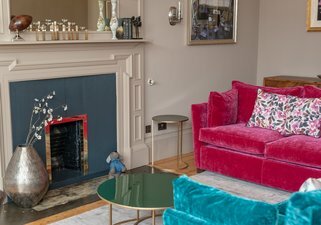 Entering the impressive drawing room, you’ll be delighted by the delicate balance of traditional and contemporary, with playful pops of colour set against the neutral backdrop. 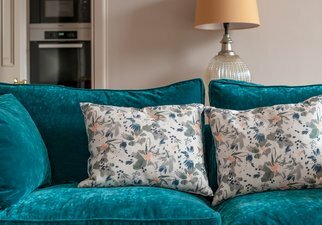 Sumptuous sofas help you to take the weight off your feet after a long day’s exploring the city, and the dining table enjoys views over the Victorian street below. 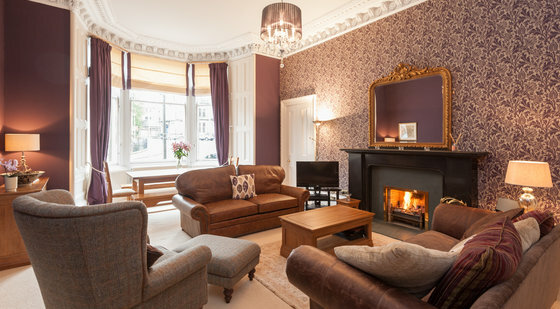 Your entertainment needs are also met with LG Smart TV with Freeview, and super-fast fibre-optic broadband. 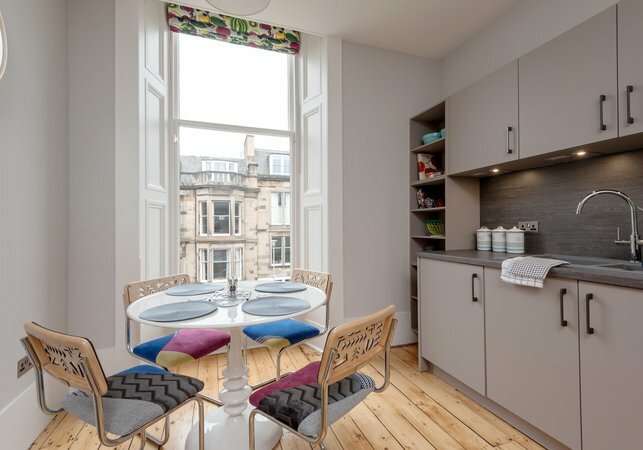 When it’s time to rustle up some treats, the newly renovated kitchen has everything you could possibly need. 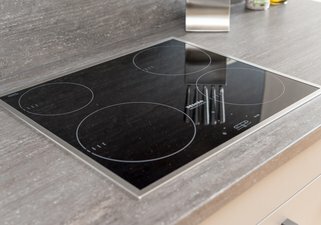 Designer Miele appliances, including dishwasher, ceramic induction hob and integrated washer/dryer, make light of any hard work, and further dining space is perfect for a quick coffee and croissant before the day’s adventure. 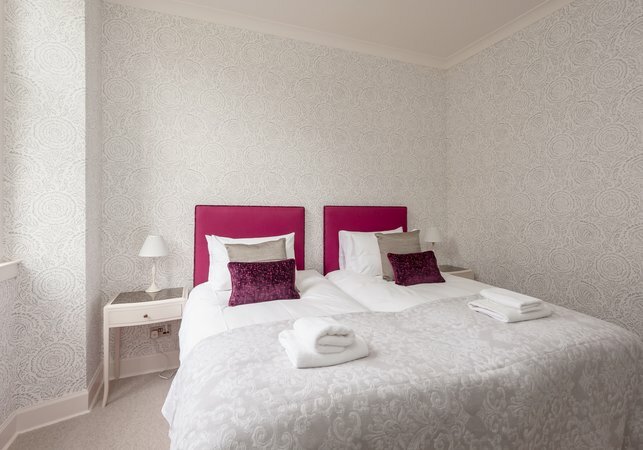 Two beautiful bedrooms located at the quiet rear of the property ensure a peaceful night’s rest. Flexibility is key, as one room has a double bed, and one has a zip’n’link style that can be set up as either twin beds or a super king. Both rooms have plentiful guest storage. 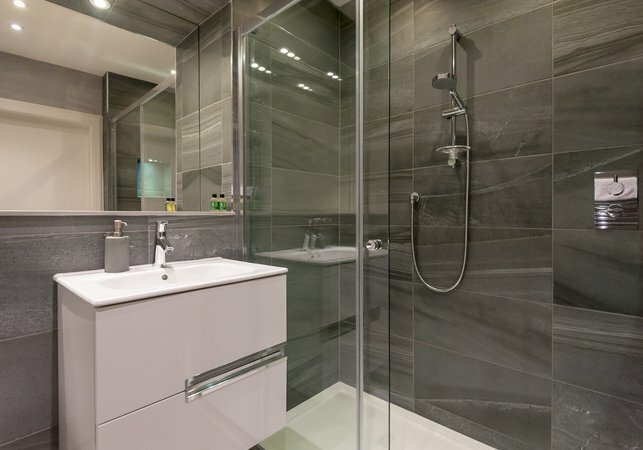 The newly fitted bespoke family shower room completes this wonderful home from home. 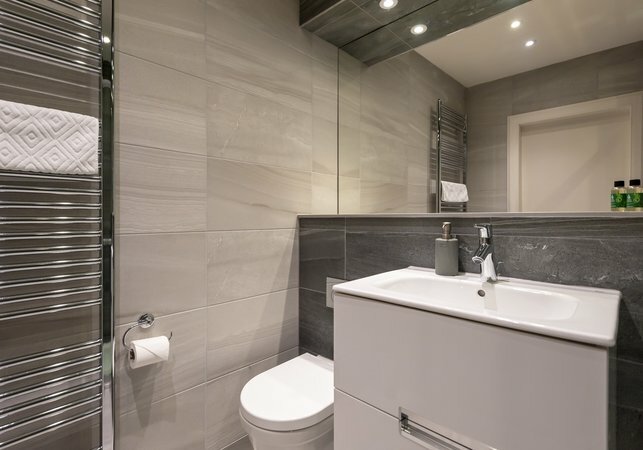 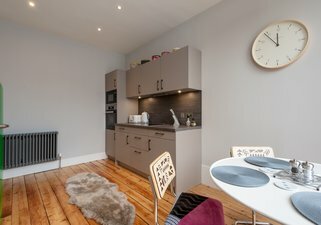 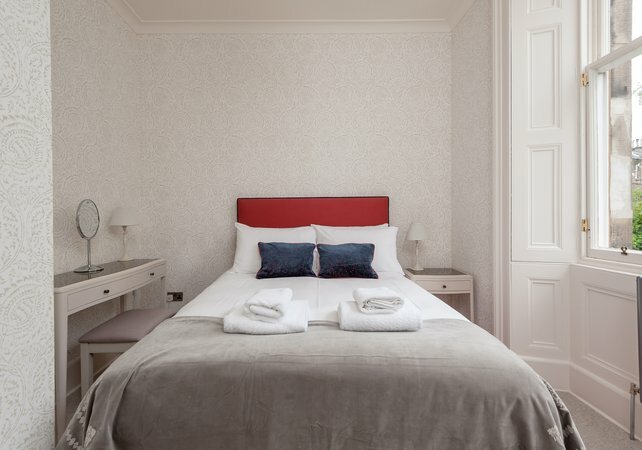 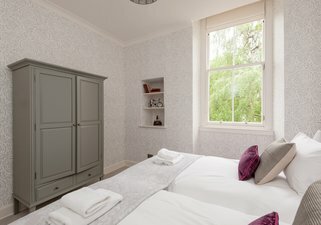 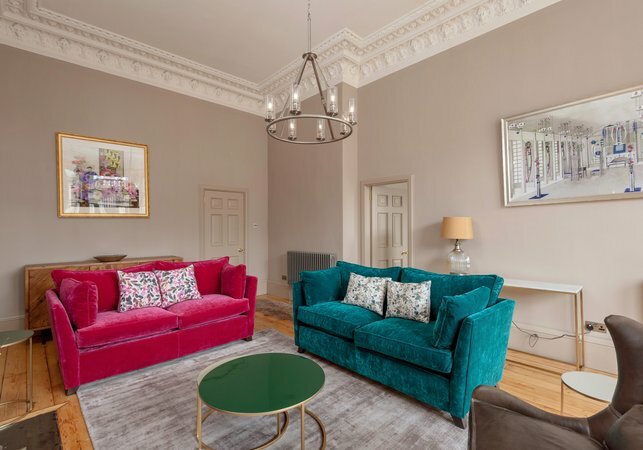 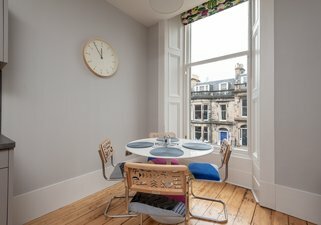 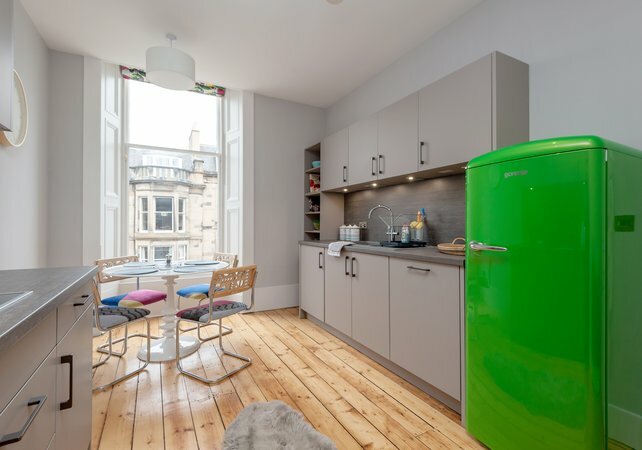 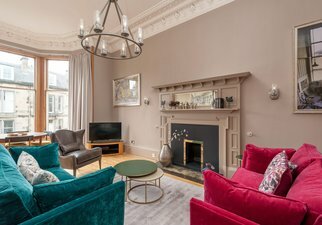 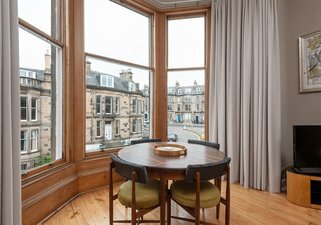 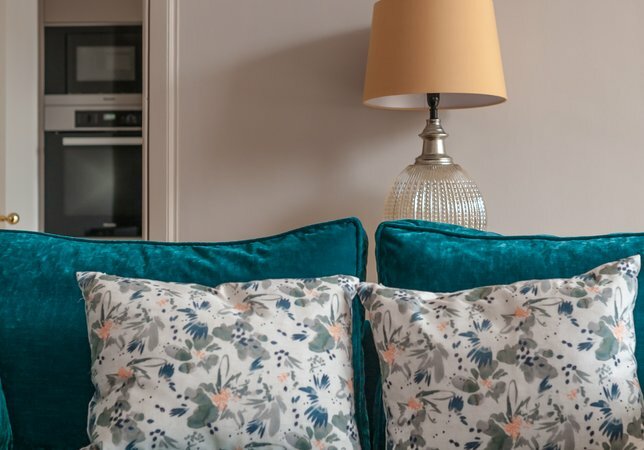 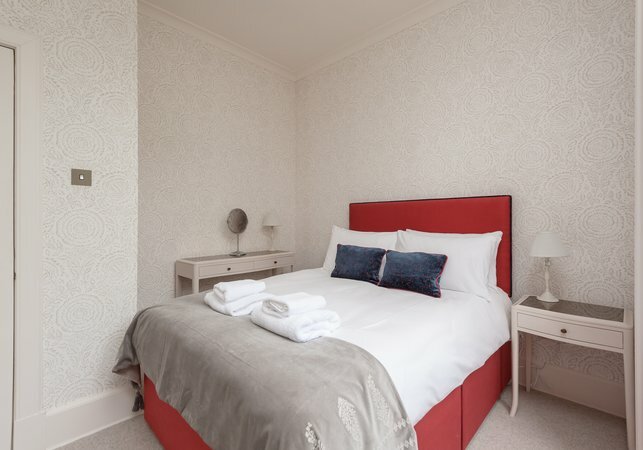 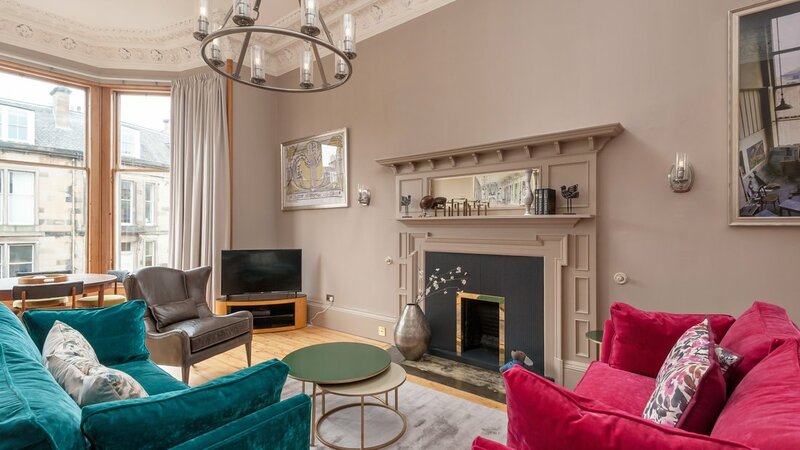 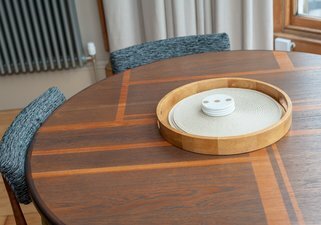 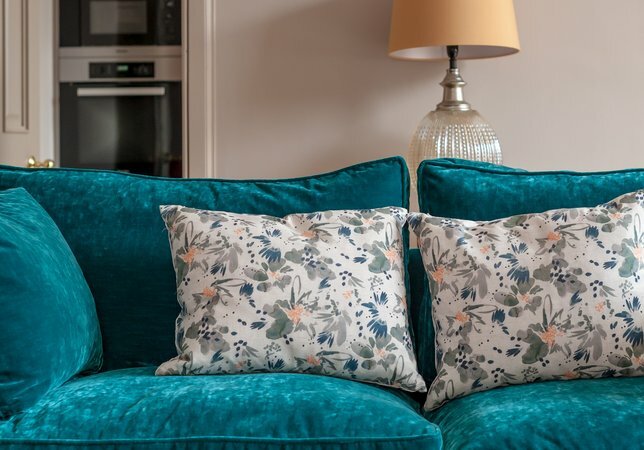 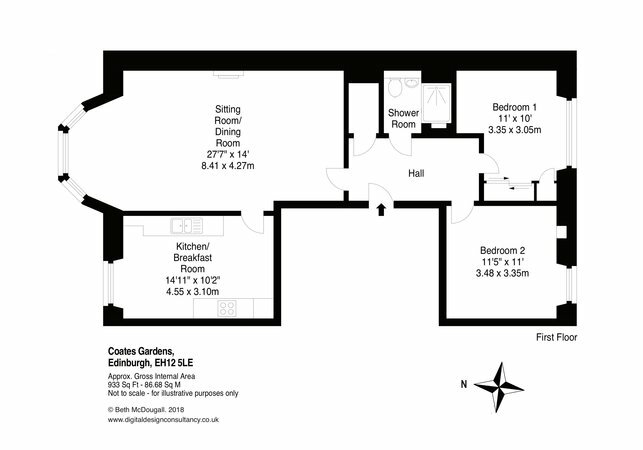 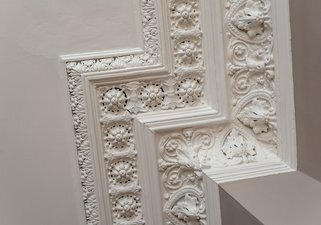 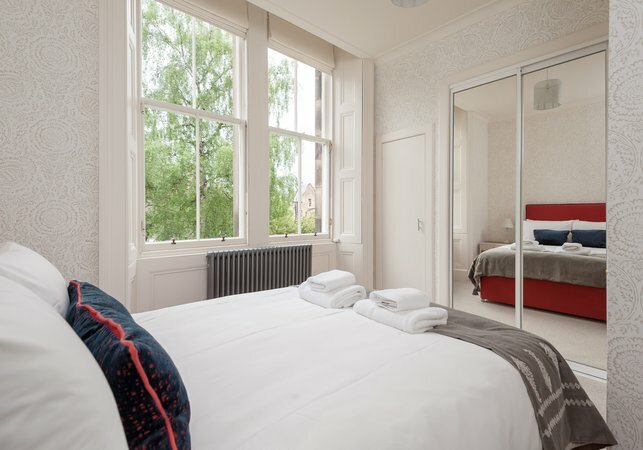 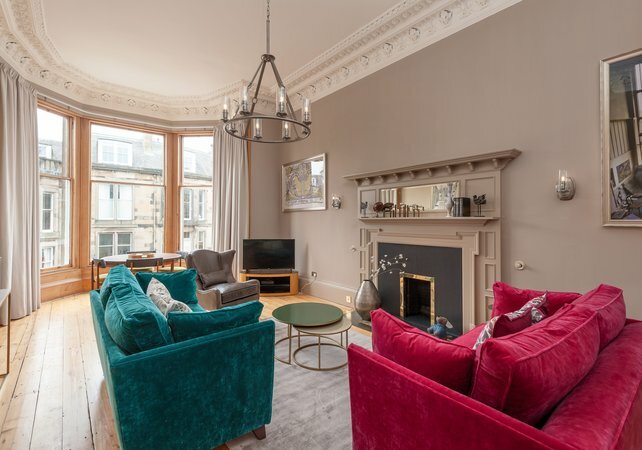 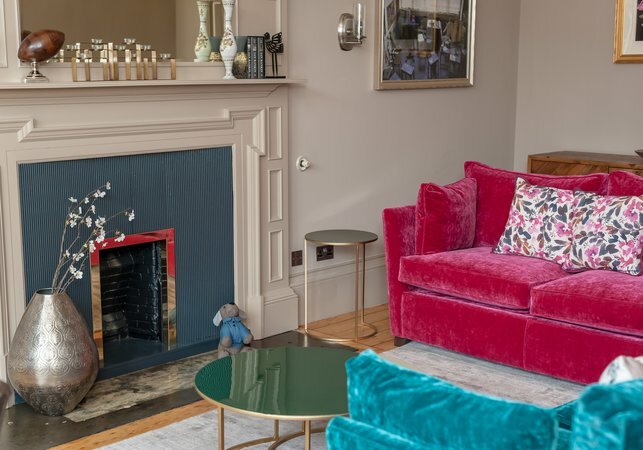 Coates Gardens combines an excellent central location within the heart of Edinburgh's West End in an elegant residential Victorian street that exemplifies the New Town grand design. 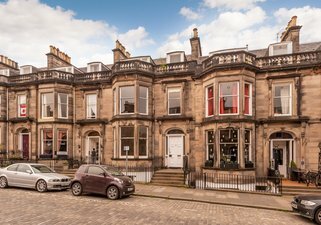 The property enjoys all the benefits of city centre living and the local area is awash with galleries, boutiques and delicious patisseries. The New Town and Stockbridge are just a few minutes’ stroll away, and our infamous Medieval Old Town, home to Edinburgh Castle and The Royal Mile, is also just a haggis’ throw away at less than a mile or 15 minute walk. 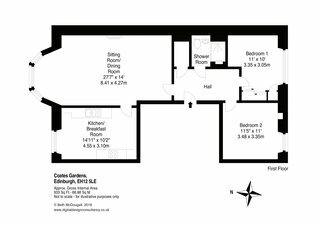 This property is perfectly situated for both city centre exploration, and easy access to the rest of Edinburgh, Scotland and beyond. 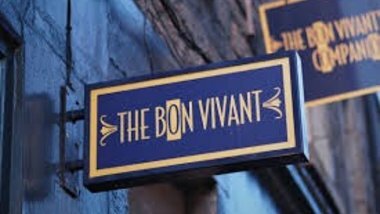 The main tourist attractions are within walking distance, and frequent public transport routes to other areas of the city pass through Haymarket Terrace at the end of the street, including Edinburgh’s famous new Tram and the Airlink airport bus. 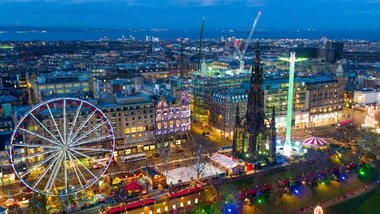 Haymarket railway station is also a short walk away, and Waverley station is a 5 minute taxi journey away. 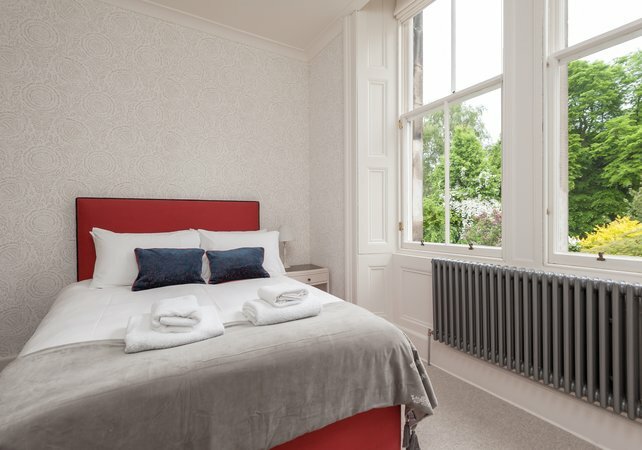 Edinburgh Zoo, Murrayfield Stadium and Murrayfield Ice Rink are a short drive or bus journey away. 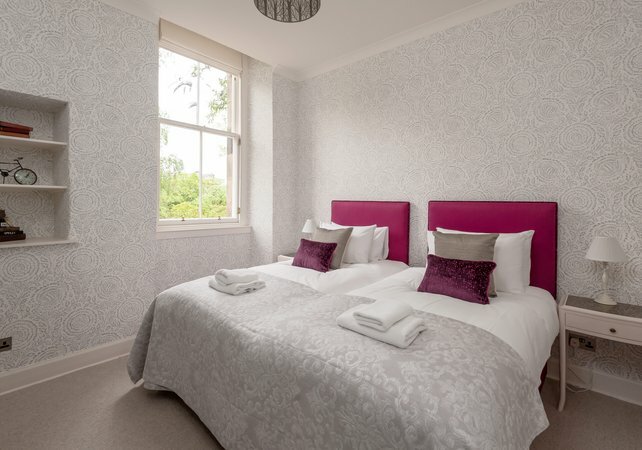 One double bedroom, the second bedroom has a zip and link bed which can be arranged as 2 singles or one super king. There is also a double sofa bed in the lounge. 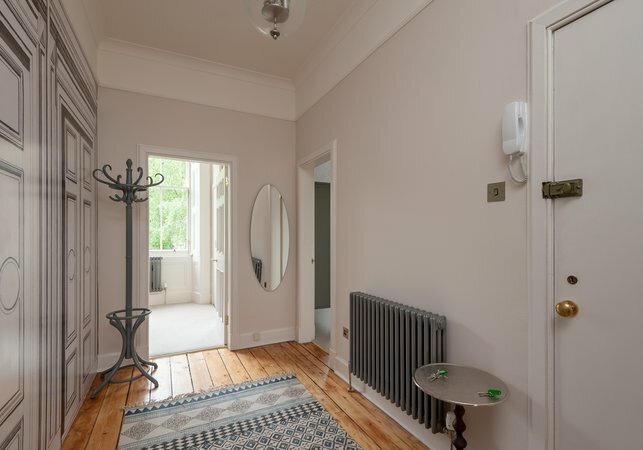 A central hallway leads to a large living/dining room, separate kitchen/diner, two double bedrooms, and one family shower room. 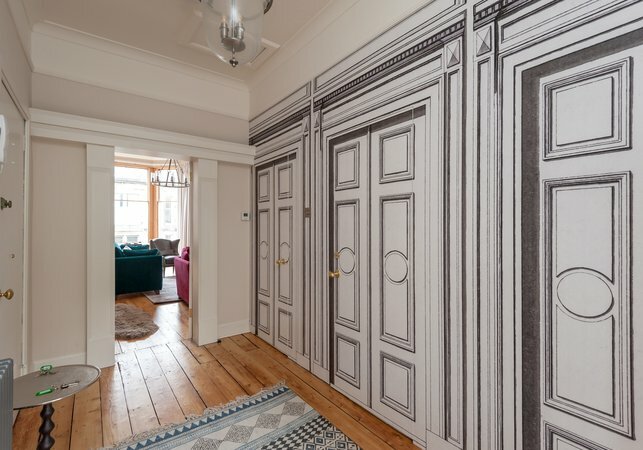 This apartment forms part of a traditional terraced Victorian villa.